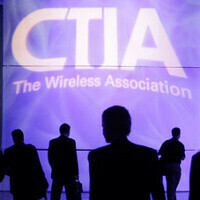 CTIA, the bi-annual trade show for electronics, will merge with MobileCon and focus on one big show in the fall starting from 2014. Up until now, CTIA was the third-biggest show for electronics, divided into two parts. The first one, held in Spring around April focusing around wireless and consumers, and then another IT and enterprise-oriented again in the fall. In the last couple of years, though, the industry has changed with a couple of companies like Apple and Samsung taking most of the spotlight and choosing to hold their own events to launch new products instead of bringing them to shows like CTIA. Additionally, it will free up manufacturers from the burden of dealing with three separate big shows in the first half of the year. The change will take place in 2014 with CTIA 2014 being held on September 9-11, 2014 in Las Vegas.